An unrelenting Nor’easter rain on December 9, 2014 did not dampen the palpable excitement and energy at the East Village Manhattan Lafayette Restaurant party room. While twin screens slowly flashed colorful images of the donated masterpieces, a gathering of makers-and-shakers of art journalism, trustees of The Souls Deep Foundation and prominent leaders of media, academia and business were joined by three internationally recognized art world scholars and path-finders. A highly engaging and charismatic trio spoke to this audience: Maxwell Anderson, Eugene McDermott Director of the Dallas Museum of Art and trustee of the Souls Grown Deep Foundation; Jacquelyn Serwer, Chief Curator of the Natural Museum of African Art and a Souls Grown Deep Foundation trustee; and Sheena Wagstaff, Chairman of the Department of Modern and Contemporary Art, Metropolitan Museum of Art. The subject of all this attention was a gift of 57 works of art to the Metropolitan Museum of Art from the Souls Grown Deep Foundation’s William S. Arnett Collection. The gift was previously announced in a press conference on November 24, 2014, by Thomas P. Campbell, Director and CEO of the museum. In addition to paintings, drawings and mixed media works by 14 acclaimed artists, including Thornton Dial, Lonnie Holley and Purvis Young, this major gift includes 20 important quilts dating from the 1930s to 2003 that were created by16 women artists based in the area around Gee’s Bend, Ala. The art selection itself was a remarkable process. On a whirlwind visit to Atlanta, Ga. and Bessemer, Ala. on March 3, 2013, Sheena Wagstaff, accompanied by Souls Grown Deep Foundation representatives Paul Arnett and Michael Sellman, attended the last day of the Thornton Dial Hard Truths exhibition at the High Museum of Art, toured the William Arnett Collection in Arnett’s suburban Atlanta warehouse and visited Thornton Dial and his family at their home in Bessemer. Wagstaff inspected Dial’s studios and witnessed the collective empowerment and stability of the Dial family. The impact of this journey was profound, resulting in negotiations between the Met and the Souls Grown Deep Foundation regarding the future inclusion of masterpieces from the Foundation in the Museum’s permanent collection. Rarely is an art institution given a choice of pieces in a donation, but the Met “pretty much had carte blanche,” Wagstaff said. Following Anderson’s enthusiastic introduction, Jacquelyn Serwer focused on the importance of African American artists from the Deep South in the history of American art. Her words captured a spirit of optimism that filled the room with the enormous potential impact of the gift. “This celebratory occasion marks a great turning point in the art world’s understanding and embrace of a broader and deeper expression of American art – one that must include the works recently acquired from the Foundation by the Metropolitan Museum of Art. “I would paraphrase that by asking, ‘Would American art be as rich and as representative of our complex culture without the African American artists championed by the Souls Grown Deep Foundation?’ I think we all now have that answer. “For decades, artists such as Thornton Dial, Purvis Young, Lonnie Holley, Mary T. Smith and Lucy T. Pettway have created their works largely out of the limelight. The rich rural traditions from which they come have been under-recognized. However, their uninhibited choice of form, media and materials give voice to the African American experience that can finally be shared with a wide audience. “Their example of daring and originality – long unacknowledged – has now become a source of creative inspiration for artists beyond their circle. However, for most in the American art world, the connections and contributions of the Souls Grown Deep artists to creative production in America have been largely uncelebrated. With this gift to the Met, I feel confident the work of these artists will demonstrate its centrality to the American experience and reach the broad audience the art deserves. “The old African American saying, ‘Making a way out of no way,’ can be readily applied to their work. In the hands of these Souls Grown Deep artists, unorthodox materials of all kinds have been transformed, metaphorically, from dross into gold, as described in a familiar fairy tale. “Not only do the works offer many examples of art created using unexpected means and materials, they also provide an insight into the community-based culture that has fostered and supported the creativity in its midst. Their kind of community is made up of folks with limited material means, little access to the larger world, but a richness of creativity and resourcefulness that has nurtured and necessitated their art. “This gift is truly transformative for our modern and contemporary collection, embodying – as it does so profoundly – the African American experience in the 20th century, marking a significant historic movement and yet, also the ongoing complexity of our country’s history. “It is an extraordinary group of works that contributes greatly to the Met’s representation of art by contemporary American artists. From amazing constructions by Thornton Dial to the inventive quilting by women in the Gee’s Bend area from the 1930s onward. “The task of an encyclopedic museum like the Met is to embrace different stories of creativity from the time humankind began to make things. Our collection spans the centuries and the world, charting different personal endeavors that speak of the urgency of making art that reflects an artist’s time. In terms of importance, Wagstaff compared the gift to that of the recent Leonard A. Louder donation – an “unsurpassed” collection of 81 pieces of cubist art. An exhibition devoted to the gift given to the Metropolitan Museum by the Souls Grown Deep Foundation from its William S. Arnett Collection will take place at the museum in the Fall of 2016. It will be accompanied by a catalogue published by The Metropolitan Museum of Art and distributed by Yale University Press. The exhibition will be curated by Marla Prather, Curator in the Department of Modern and Contemporary Art. What is the Souls Grown Deep Foundation? The Souls Grown Deep Foundation is a non-profit organization dedicated to documenting, researching, preserving, interpreting, publishing and exhibiting the work of African American artists who now have gained recognition as some of the most innovative and important artists of the past century. Through the use of its 1,200 artworks and thousands of field photographs, the organization’s goal is to bring this vital and quintessentially American art form to a wider audience, to see its inclusion in the “real” American art dialogue, to facilitate long-delayed assimilation into the contemporary art mainstream and ensure its recognition as one of the great American contributions to the history of art. The Foundation’s holdings are extensive and unique in terms of scope and depth. They include works by more than 150 artists – among them Thornton Dial, Lonnie Holley, Mary T. Smith, Joe Minter, Purvis Young, Ronald Lockett, Bessie Harvey, Joe Light, and the quilt-makers of Gee’s Bend. It is an essential resource for students, scholars and the public alike. Ranging from large-scale found-object assemblages to works on paper, the works in the collection date from the early 20th century to the present. The Foundation was established in 2010 by art historian, patron, archivist and collector William Arnett, whose gifts of artworks and documentary photographs constitute the vast majority of the Foundation’s holdings. In the late 1980s, Arnett set his goals even higher: an ambitious project to survey the visual tradition of the African American South. Years of intense effort resulted in the exhibition and two-volume book Souls Grown Deep: African American Vernacular Art of the South. To date, Arnett’s efforts in the field have produced 14 books containing more than 3,500 pages and 4,500 color plates. Major exhibitions have been hosted by 35 museums, including The Quilts of Gee’s Bend, organized by the Museum of Fine Arts, Houston, and the Whitney Museum of American Art in 2002, which travelled to the Corcoran Gallery of Art; the Cleveland Museum of Art; the Chrysler Museum of Art; the Museum of Fine Arts, Boston; the High Museum of Art; the Milwaukee Art Museum; and the de Young Museum, among others. A follow-up show, Gee’s Bend: The Architecture of the Quilt, was seen at eight museums, including the Philadelphia Museum of Art, the Walters Art Museum, the Denver Art Museum and the Indianapolis Museum of Art. Other exhibitions include Thornton Dial in the 21st Century, at the Museum of Fine Arts, Houston, in 2006; Hard Truths: The Art of Thornton Dial, organized by the Indianapolis Museum of Art in 2011, which traveled to the New Orleans Museum of Art, the Mint Museum, and the High Museum of Art; and History Refused to Die: The Enduring Legacy of the African-American Art of Alabama, a two venue exhibition opening on March 14, 2015 at the Montgomery Museum of Fine Arts and the Centre for the Living Arts in Mobile, Ala. The Souls Grown Deep Foundation archives have been acquired by The University of North Carolina with the objective of organizing and publishing these important documents, films and photographs within the context of a historical period so critical to art and American Civil Rights. Maxwell L. Anderson: The Eugene McDermott Director, Dallas Museum of Art (present); The Melvin & Bren Simon Director and CEO, Indianapolis Museum of Art (2006-2011); Alice Pratt Brown Director of the Whitney Museum of American Art (1998-2003); Director, Art Gallery of Ontario (1995-1998); and Director, Michael C. Carlos Museum (1987-1995). Harry Arnett: Former president and publisher of Tinwood Media where he oversaw production of numerous publications and media projects including The Quilts of Gee’s Bend and Thornton Dial in the 21st Century. He is presently Senior Vice President of Marketing at Callaway Golf. Paul Arnett: Co-editor and contributor to numerous books, including Souls Grown Deep: African American Vernacular Art, Vols. I & II, The Quilts of Gee’s Bend, Gee’s Bend: The Architecture of the Quilt, Gee’s Bend: The Women and Their Quilts, and Thornton Dial in the 21st Century. He has contributed to many catalogues and organized several exhibitions, including Thornton Dial: Strategy of the World. He spent two decades helping assemble the vernacular art collection that became the Souls Grown Deep Foundation. William S. Arnett: Art historian, documentarian, scholar, author and editor of numerous books, including Souls Grown Deep: African American Vernacular Art, Vols.I & II, The Quilts of Gee’s Bend, Gee’s Bend: The Architecture of the Quilt, Gee’s Bend: The Women and Their Quilts, and Thornton Dial in the 21st Century. He has built important collections of African, Asian and African-American art, among others, and has written and curated many catalogues and exhibitions on subjects ranging from ancient ceramics to 20th-century Mayan textiles. Louisiana Bendolph: Quilter whose work was featured in the books and exhibitions Gee’s Bend, Architecture of the Quilt, and Mary Lee Bendolph, Gee’s Bend Quilts and Beyond. Her quilts have been displayed at numerous museums, including The Philadelphia Museum, The Museum of Fine Arts-Houston, The Walters Art Museum, and The Denver Museum. They are in the permanent collections of several museums, including the High Museum of Art in Atlanta. Richard Dial: Sculptor whose work is in a number of private and public collections, including the Museum of Fine Arts-Houston. It is featured in Souls Grown Deep Vols. I & II. He works in Bessemer, Ala. where he continues the art-making tradition of his father, Thornton Dial Sr.
Jane Fonda: Actress, author and political activist. She has won two Academy Awards, an Emmy Award and seven Golden Globe Awards. Her books include Prime Time: Creating a Great Third Act and My Life So Far. In 2000, she partnered with William Arnett to form Tinwood Books, publisher of seminal volumes on African American Art of the South including Souls Grown Deep: African American Vernacular Art and The Quilts of Gee's Bend. 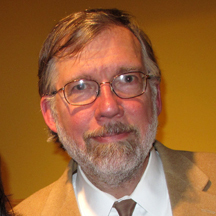 Bernard L. Herman: George B. Tindall Distinguished Professor of American Studies and Folklore, and Chair, Department of American Studies, at the University of North Carolina, Chapel Hill. Editor of Thornton Dial: Thoughts on Paper and author of many books, including the forthcoming Quilt Spaces: Conversation and the Art of the Quilt in Gee’s Bend, Alabama. Linley Jones: One of Atlanta’s distinguished trial lawyers. She was recently elected President of the Georgia Trial Lawyers Association and is a member of the Atlanta Trial Lawyers Society, the Atlanta Bar Association, Lawyers Club of Atlanta and the American Association for Justice. James Sellman: President of the Folk Art Society of America, regular contributor to Folk Art Messenger, collector and philanthropist. Since 1979, he has served on the clinical faculty at the Medical College of Virginia. In 2001, he was honored by the National Alliance on Mental Illness with The Exemplary Psychiatrist Award and identified as one of the 35 top psychiatrists in the U.S.
Michael Sellman: Associate editor of Souls Grown Deep: African American Vernacular Art, Vol. II, The Quilts of Gee’s Bend, and Gee’s Bend: The Women and Their Quilts. He is President of Tinwood LLC and also operates a private equity firm based in New York City. He worked previously at Morgan Stanley in New York and London. Jacquelyn Serwer: Chief Curator of the Smithsonian’s National Museum of African American History and Culture. Her research specialties include American art and African American art (19th century to the present) and museum studies. Previously she served for six years as chief curator of the Corcoran Gallery of Art. E.T. Williams: Board Chair Emeritus of the Romare Bearden Foundation and former Chair of the Schomburg Society of the Schomburg Center for Research in Black Culture. He has served on the boards of the Brooklyn Museum, the Museum of Modern Art, the NAACP Legal Defense Fund, the Nature Conservancy and the Central Park Conservancy. JAMES SELLMAN is the President of the Folk Art Society of America. He and his wife Barbara have been traveling throughout the world collecting art for more than 35 years and have been members of the Folk Art Society of America for 22 years. They have donated more than 200 pieces of traditional African art to Richmond's Virginia Union University, and they have made significant gifts of drawings and paintings by Thornton Dial to that and other American institutions. The Sellmans have spent the past 25 years supporting African American artists, exhibitions and other academic projects. Since 1978, Sellman has served on the Clinical Faculty of the Medical College of Virginia-VCU Medical School. In 2001, he was recognized by the National Alliance for the Mentally Ill as one of the 35 outstanding psychiatrists in America.